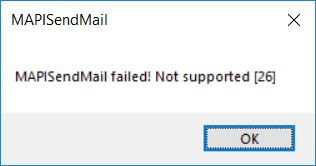 Note: The file (Msmapi32.dll) that you are renaming may differ from the file (Mapi32.dll) that is mentioned in the error message, if any. 4. Type Msmapi32.old, and then press ENTER to rename the file. Note: When you start Outlook 2013, the program will repair itself.